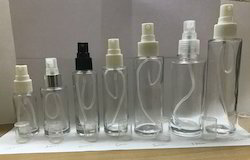 Manufacturer of a wide range of products which include 50 & 100 ml square perfume bottles, 100ml square perfume bottle, 50ml square perfume bottle and refillable perfumes bottle. We are offering 50 & 100 ml Square Perfume Bottles to our clients. We are offering 100ml Square Perfume Bottle to our clients. We are offering 50ml Square Perfume Bottle to our clients. We are offering Refillable Perfumes Bottle to our clients.